Block of rooms (Superior room category) is reserved for conference participants at the Hotel DUO - the conference venue of ICPL2017. The accommodation for period March 5-9, 2017 is included in the conference registration fee (incl. breakfast, single or double bed occupancy). If you are planning to stay longer, please let us know well in advance. Hotel DUO is situated 12 min by subway from the city center, includes 630 rooms, conference center with a big congress hall and 10 smaller meeting rooms, restaurant, two bars, sports center with swimming pool, sauna, massages, bowling, fitness. Each room (21 m2) contains 1 king size double bed or 2 separate single beds, bathtub, air-conditioning, tea and coffee making facilities, hairdryer, TV with satellite channels, telephone, fridge, safe deposit box, Wi-Fi. Complimentary servises include free entrance to swimming pool, sauna and gym. Hotel DUO is located opposite the Strizkov subway (metro) station (line C). Travel from the the Vaclav Havel Airport Prague takes by public city transport about 50 min (see details). 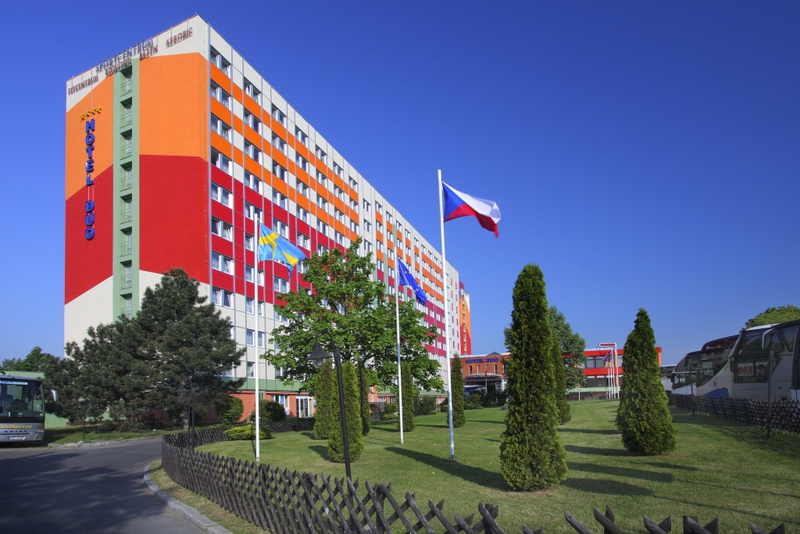 For those traveling by car, hotel DUO is located in the proximity of the D8 highway from the direction of Berlin - Dresden - Teplice and offers to guests a large safe parking lot immediately in front of the hotel.